Hundreds of activists and scholars meeting at the National Press Club say that more people around the globe are demanding justice for Palestine. 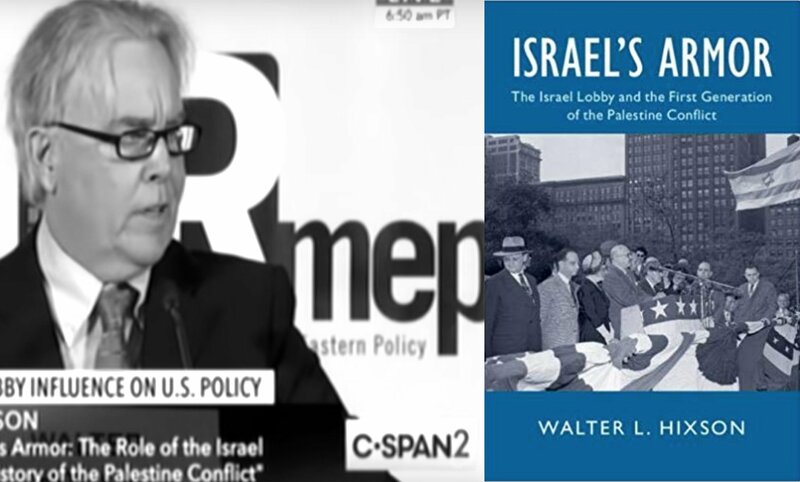 We hear a key address by Professor Walter L. Hixson, author of the forthcoming book, Israel’s Armor: The Role of the Israel Lobby in the History of the Palestine Conflict. -Gerald Horne on the Mueller Report and NATO’s 70th anniversary. -Alexandria Ocasio-Cortez’s Impassioned Defense of the Green New Deal. -Senate Poised to Confirm Another Industry Lobbyist to Head Interior. -Protests will greet NATO foreign ministers meeting in DC. -National Black Memorabilia, Fine Art & Craft Show is Saturday and Sunday, April 6th and 7th. If you enjoy our grassroots news show, which we provide free online, on podcast and on Pacifica stations and affiliates, please click here or click on the Patreon tab on this website to subscribe for as little as $3 a month. The show is made possible only by our volunteer energy, our resolve to keep the people’s voices on the air, and by support from our listeners. In this new era of fake corporate news, we have to be and support our own media!